Every year, the General Assembly (GA) of BEST gathers 300 Besties from all over Europe. Every BEST group sends 2 delegates to represent them in the important discussions that will happen there. In addition to that, all the person with higher responsibility, like the international board and the department delegates, are also present. The GA lasts for about 10 days. These days are filled by meetings, discussions, harsh debates and presentations. 8 days later, the GA was over, all the important decisions were taken, the new international board was elected. 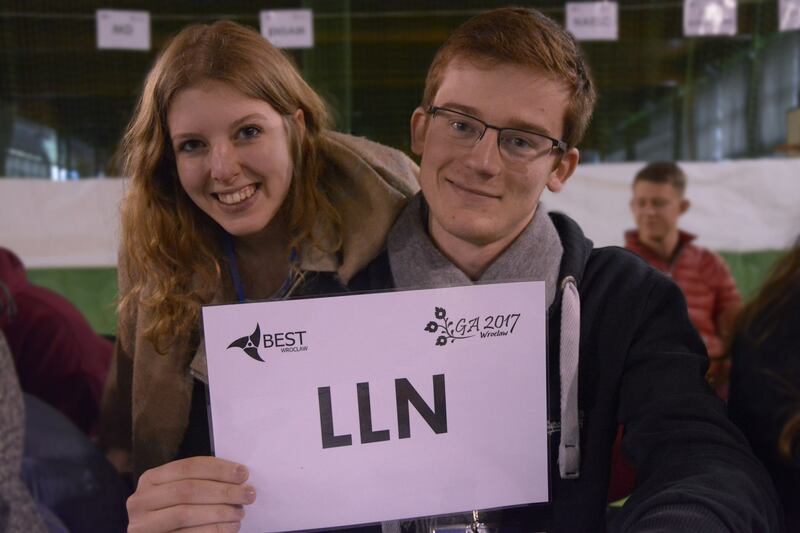 Noemie and Nicolas could fly back to Belgium to recover from the lack of sleep created by those long discussions. However, in the end, they were happy to have contributed to the development of BEST.